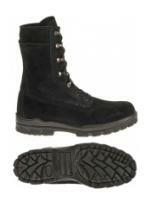 Bates DuraShocks® boots guarantee total comfort. From Bates' patented energy-return technology to removable insoles and leather uppers, Bates DuraShocks® infuses superior comfort with every step you take. 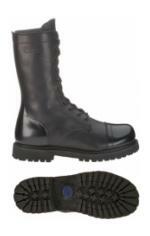 DuraShocks® provide total-foot support and superior stabilization keeping you safe at work and energized all day. 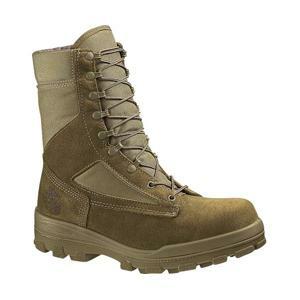 The Bates Delta-8 boots come equipped with Rough Side out leather and nylon uppers, Individual Comfort System Technology, a breathable Dri-Lex® Lining, Removable outsole, Durable Vibram® Mutant Rubber Outsole and cement construction. 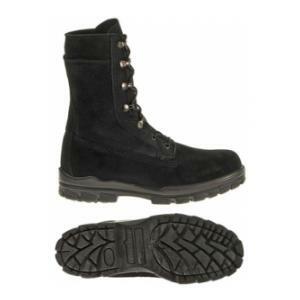 These extremely popular, lightweight boots set the standards for comfort, performance and wet-weather reliability. 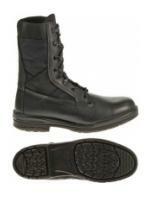 The lace-to-toe design makes adjustments simple, while the Gore-Tex lining keep feet dry. 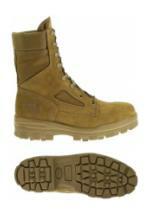 Built on the DuraShocks technology that comes with a 30-day comfort guarantee. DuraShocks compression pads absorb the shock of every step saving your knees and back from all that pounding. 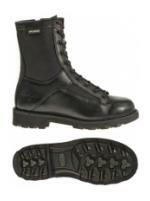 An excellent, everyday-wear, 8” duty boot with performance characteristics that are anything but ordinary. 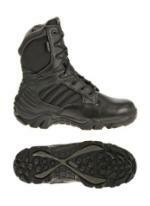 Made with full-grain leather and stronger ballistic nylon uppers, plus side zippers for easy on-and-off. 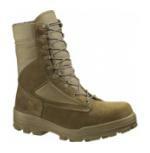 Built on the DuraShocks technology that comes with a 30-day comfort guarantee. DuraShocks compression pads absorb the shock of every step saving your knees and back from all that pounding. 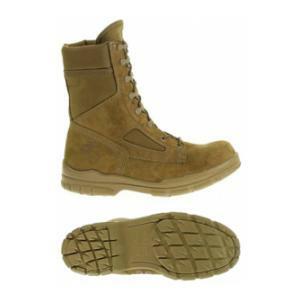 Hit the ground running in these specially designed paratrooper boots with extra high ankle support and snug, long lacing. 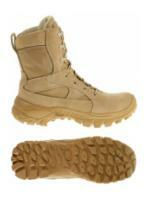 The full-length side zip makes them fast to put on and take off. 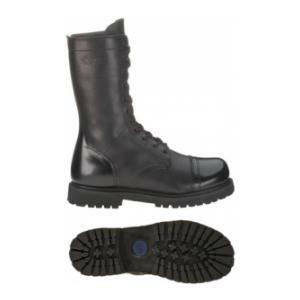 Made with all leather uppers, a high shine toe and heel cap, fully cushioned removable footbed for softer landings and a slip-resistant rubber lug outsole for exceptional tracking over any terrain. 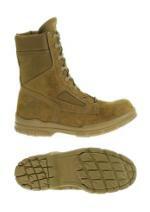 Defending our freedom in warmer climates requires footwear that is lightweight and built to perform. 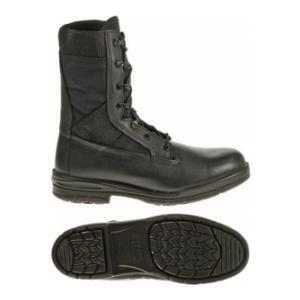 The Bates DuraShocks® tropical 8" uniform boot features a full grain leather and abrasion resistant Cordura® fabric upper. 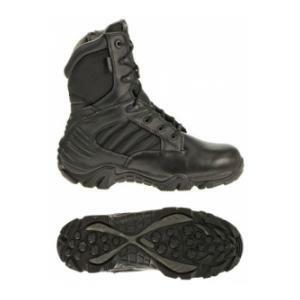 The ultimate comfort of the Bates DuraShocks® comfort technology uses patented compression pads in the forefoot and heel to absorb shock and keep you on your feet in comfort. 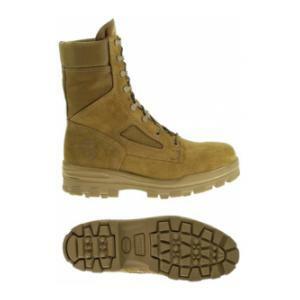 A removable full cushion dual density polymer footbed enhances your comfort while the Oil & Slip Resistant Intrepid work outsole keeps you ready for action. 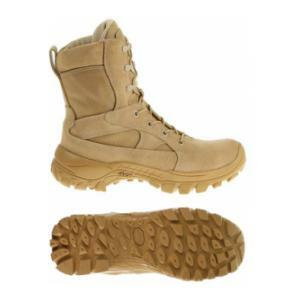 Certified for duty by the U.S. Marine Corps, these boots are specially designed to keep feet cool and energized on even the longest march. 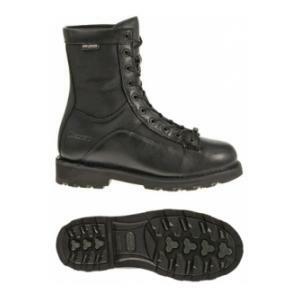 Made with breathable Wolverine Warrior Leather and nylon uppers and a moisture-wicking lining. A removable insole features heel and forepart shock-absorbing pads, while the long-wearing Vibram Bob DuraShocks outsole resists everything from slips to heat conduction to abrasion. 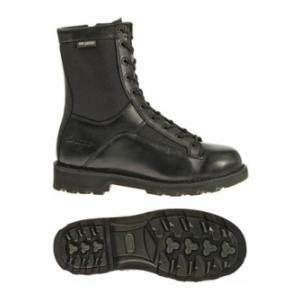 Easy to clean Warrior leather with DuraShocks® comfort technology and steel toe protection. 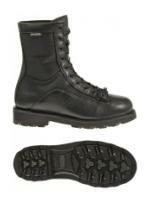 GORE-TEX® performance footwear is durably waterproof and breathable for all seasons. A lining of 200g. Thinsulate insulation provides warmth for cold conditions.